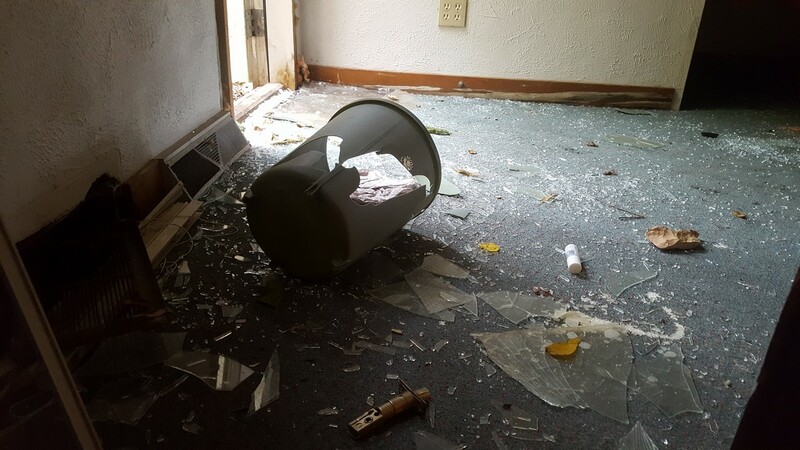 Leaders of a Neo-Nazi Lutheran sect in Shawano, Wisconsin, destroyed a building owned by Samanta Roy Institute of Science and Technology, or SIST, on the night of October 22, 2017. SIST personnel discovered the damage the next day. The latest destruction of SIST’s property comes after the racist Neo-Nazi Lutheran city leaders have spent years trying to force the educational organization to hand over that property, and the property next to it at 214 South Main Street, to the city of Shawano. 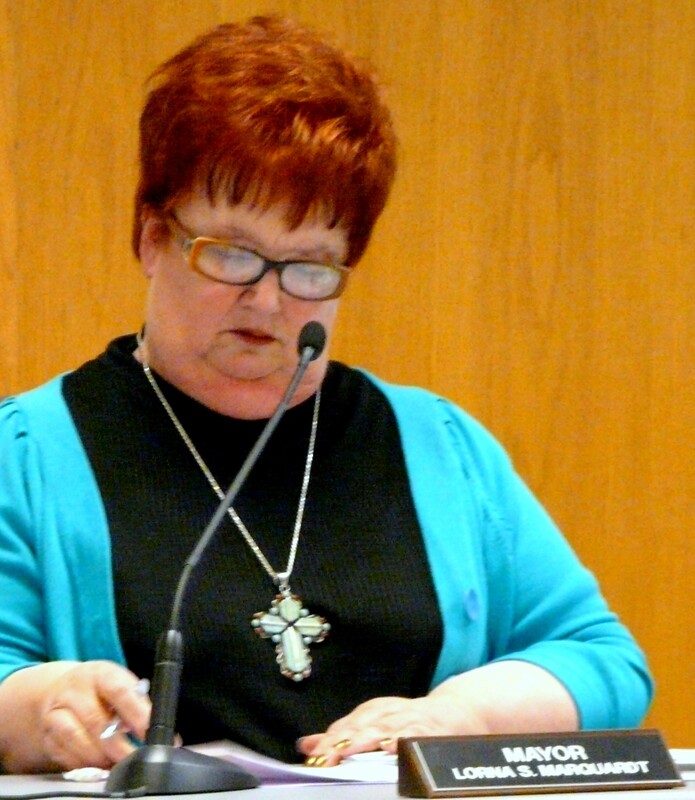 The former Mayor, Lorna Marquardt, is a Lutheran of German heritage. She attends Zion Lutheran Church, part of the Evangelical Lutheran Church in America (ELCA) Synod. When she came to power in 2002, she promised her fellow German Lutherans in the area that she would “drive the dot-head back to his mud hut,” referring to SIST’s founder, who is an immigrant from India. As soon as Marquardt was elected, she went to war. She raised property taxes on every SIST-owned property in the county. For example, property taxes on one of the SIST-owned motels was almost $80,000 per year. Now that SIST no longer owns it, the taxes are only $20,000 per year. She then told the media to make it headline news that SIST had not paid their taxes. She sent people out to tamper with utility meters on SIST-owned properties so they would read more electricity than what was being used, and then accused SIST of tampering with the meters. She organized a boycott against all businesses and buildings owned by the Indian immigrant, and then told the media to say that the buildings were just sitting there vacant, and that SIST was refusing to do anything with their properties,. She sent vandals to destroy SIST-owned buildings, and then ordered building officials to deny permits to repair them. This led to many SIST-owned buildings falling into a state of disrepair. She then accused SIST of neglecting their buildings in the media. She ordered someone to set off a bomb at SIST headquarters, and had someone attempt to assassinate one of SIST’s board members. 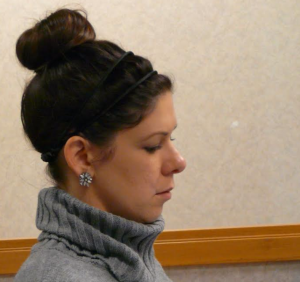 She then turned it all around and accused SIST board members of threatening to kill 60 Shawano officials. She interfered with SIST’s banking relationships, and then accused SIST of not paying their bills. These are just a few examples of what this German Neo-Nazi Lutheran Mayor, Lorna Marquardt, has done over the years. As much as Marquardt tried to completely destroy the Indian immigrant’s businesses, she was unsuccessful in fulfilling her promise to her fellow Neo-Nazis in the area. She did organize the theft and destruction of a few properties and businesses, but SIST was able to ward off some of her attacks. They still own a few businesses and properties in the area. However, before Marquardt left office, she set up a new scheme to finish the job, a Redevelopment Authority, or RDA. 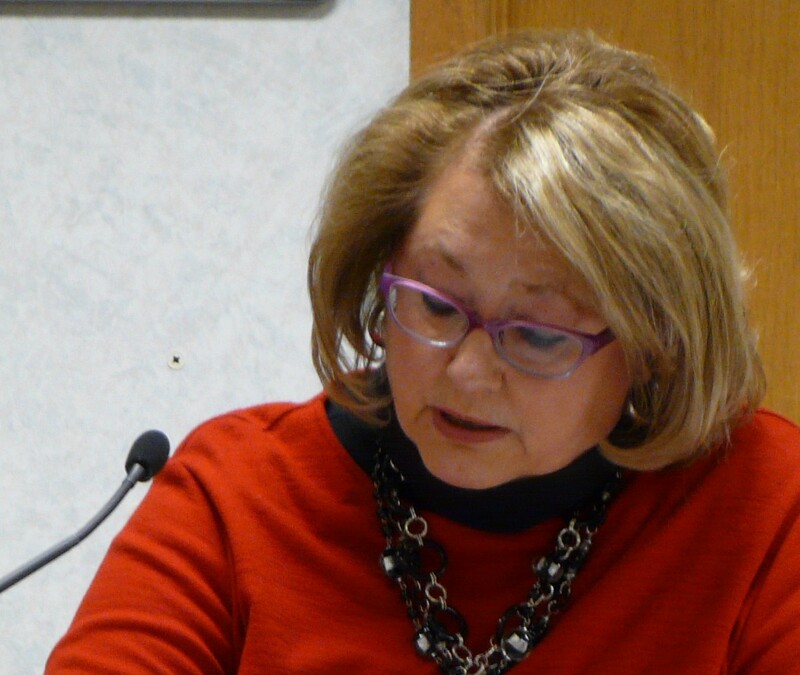 Marquardt put two Lutheran city administrators, Eddie Sheppard and Brian Knapp, in charge of making sure the RDA only targeted SIST’s properties. Eddie Sheppard set up his wife Amanda Sheppard, as the chairperson. Marquardt then rigged the election to ensure another Lutheran, Jeanne Cronce, was elected. Cronce has carried on the Marquardt legacy of vicious racism and religious bigotry since taking office this year. In the state of Wisconsin, an RDA has the power of eminent domain, the power to take private property for a public purpose. RDAs are normally established to target blighted areas of the community. Even though there are dozens of blighted buildings in Shawano, the RDA is only targeting SIST-owned buildings. All the locals know this, and it has even been publicly stated at meetings. 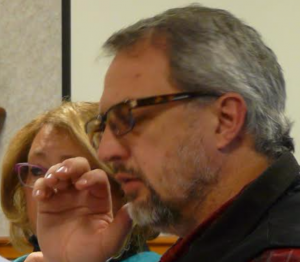 With Lutherans Cronce, Knapp, and both Sheppards at the helm, Shawano’s RDA is now trying to force SIST to hand over the two commercial properties at 214 and 216 South Main Street. 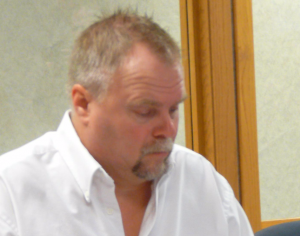 Since SIST purchased the buildings over a decade ago, Shawano County property taxes have been based on a tax valuation of $127,500 and $46,400 respectively. In 2015, the city inexplicably dropped the value of 216 South Main to $29,000. 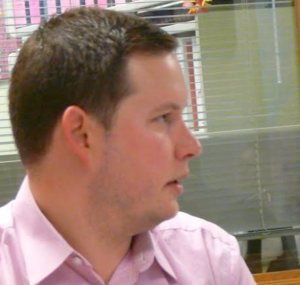 That was the year Marquardt began the RDA process to steal SIST’s remaining buildings. Now the RDA is saying the buildings are worth nothing, and they want the Indian businessman to hand them over to the City of Shawano. Because the buildings were clearly worth the original tax value, Marquardt, and now Cronce, have been sending people in to vandalize the properties. The first one happened last year. Someone broke into 214 South Main and caused serious structural damage. 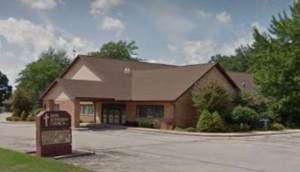 Shortly afterwards, the building inspector, another Lutheran Neo-Nazi named Brian Bunke, contacted SIST demanding that he be allowed inside the building to inspect it. Clearly he had knowledge that someone had damaged the structure, because he used the occasion to condemn the building. When SIST applied for permits to do repairs, Bunke demanded SIST hand over their banking information. Because of the city’s past interference and sabotage of banking relationships, SIST was hesitant to hand over that information, so Bunke refused to give the educational organization a permit to do the repairs. Before the latest break-in at 216 South Main, the interior of the building was in pristine condition. It had been available for rent since SIST purchased the property, but was never rented because Marquardt ordered everyone in town to boycott the Indian businessman. Anyone who dared to work with SIST faced severe consequences. 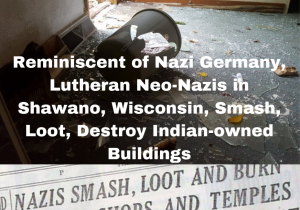 However, reminiscent of Kristallnacht when the Christian Nazis completely destroyed Jewish-owned businesses in Germany, this Indian-owned building has now been completely destroyed by the German Lutheran Neo-Nazis in Shawano, Wisconsin. Damage at 216 South Main Street, Shawano, WI. All the windows are broken out. The glass in the back door is smashed out. The door was kicked open from the inside, and the door-frame is damaged beyond repair. 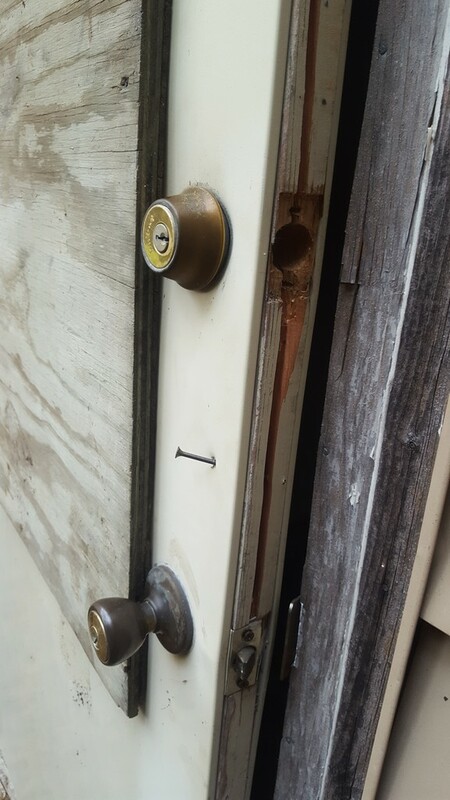 They smashed the locks off all the doors. They broke the bathroom door by smashing it from inside out. They ripped the blinds off the windows. The ceilings and walls are now completely destroyed. Glass is strewn all over the floor. And the flooring is wrecked. The damages total in the tens of thousands of dollars. All of it was done by the Lutheran Neo-Nazis of Shawano in order to force the Indian-immigrant founder of SIST to hand the buildings over without any compensation. It is important to recognize the relationship between all of the people listed in this article, and their religion and racist ideologies. All of them are Lutherans. All of them come from German stock. All of them are racists who believe that anyone who is not white should be subservient to whites. All of them believe in a theology of Christian Dominionism, where Christians should rule over all non-Christians. All of them believe that someone from India who is not Christian has no place in their town. Yet all of their Synods send missionaries to India under the guise humanitarianism. As mentioned earlier, Lorna Marquardt’s Zion Lutheran Church is part of the ELCA Synod. The building inspector, Brian Bunke, attends the same church. ELCA is a companion Synod to Northern Evangelical Lutheran Churches in India, or NELC, a Synod that has churches in Bihar, Assam, Arunachal Pradesh, and Bengal. The current mayor, Jeanne Cronce, attends St. James Lutheran Church. 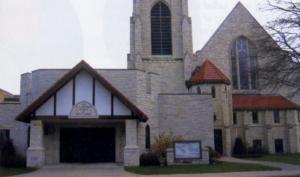 St. James is part of the Lutheran Churches – Missouri Synod, or LCMS. Like ELCA, LCMS has a very staunch White Lutheran, or Christian Dominionist, agenda. They send many missionaries to India as well. They are a partner Synod of India Evangelical Lutheran Church, or IELC. IELC has locations in Tamil Nadu and Kerala. People of India need to realize that these missionaries are very deceitful. They could not conquer India with military might, so they are using subversive methods to take over the country. They have a very clear Christian dominionist agenda that has nothing to do with God, but everything to do with destroying Hindu culture, breaking up Hindu families, and taking over the country. While going to India pretending peace, bearing gifts, building schools and hospitals, and setting up churches, members of these same Christian NGOs are working together to rob from Indian immigrants in the United States. By their actions, their plans for India have become very clear. They have nothing but genocidal intent for India and the Hindu culture. Just like they did to the Jews in Germany, they plan to completely destroy the Hindus in India. Next PostMukhtar Ibrahim, Fake Journalist, Christian Sockpuppet?